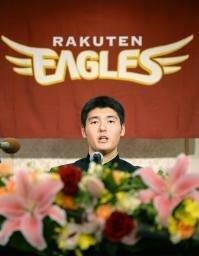 Pitcher Tomohiro Anraku of Saibi High School, the top draft pick by Tohoku Rakuten Eales whom many consider the future of Japanese baseball. The Japan High School Baseball Federation held a board meeting on Thursday to discuss an extra-inning tiebreak system and has decided to implement the format on a trial basis, starting with regional tournaments in the Kanto, Kinki and other areas, and in spring regional tourneys next season. The inning in which the tiebreak will take effect will be determined by the end of January. The system has been designed to facilitate a quicker end to games by starting the inning with one out and the bases loaded to boost run production. High school baseball’s governing body used the results of a survey regarding player safety that it sent out after the spring invitational tournament saw a game replayed, and another tourney was forced to use the off day to play games canceled because of inclement weather. The tiebreak system has been deemed to be effective. Federation Secretary General Masahiko Takenaka said further review is needed. “In consideration of the various opinions voiced after the regional games, we've decided to look into it,” he said. The federation started the process by examining a proposal drafted by a special committee that included a plan to implement the system next season in all prefectures, municipalities and local tournaments. However, because of strong opinions and other circumstances — including one of 10 regional high school ruling bodies asking for the implementation to be held back a year — the idea was limited to regional tournaments only. 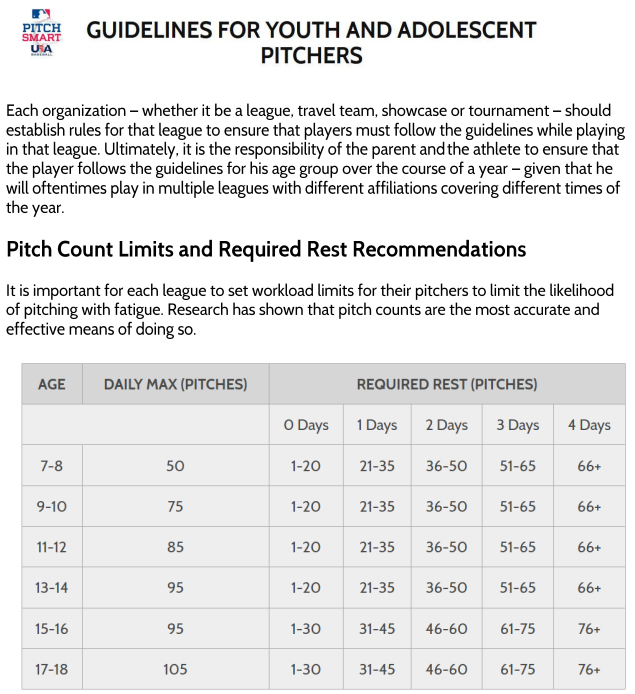 In partnership with USA Baseball, Major League Baseball announced the launch of its new "Pitch Smart" arm safety initiative for youth players in the middle of November, 2014.